The woman who worked for 35 years without purpose, such a woman in our society is indeed. Only women would need such power, the world itself will bring change. Irina, once in 1978 travelled to India and found a lot of interest in Indian culture, She never knows that her occasional visit to India will become a permanent residence there. Then She was young and just passed out of her college degree, she was then 20 years old. In India, she explored the northern part and its villages. 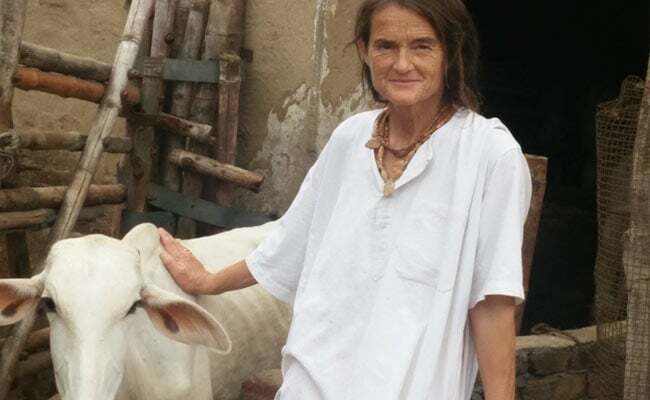 When she went Mathura, then she fell in love of the city, people and many other things, she learned Hindi and other languages to interact with locals, understood the problems brought the solutions and she becomes more emotional when she saw infected and sick cows in the city. 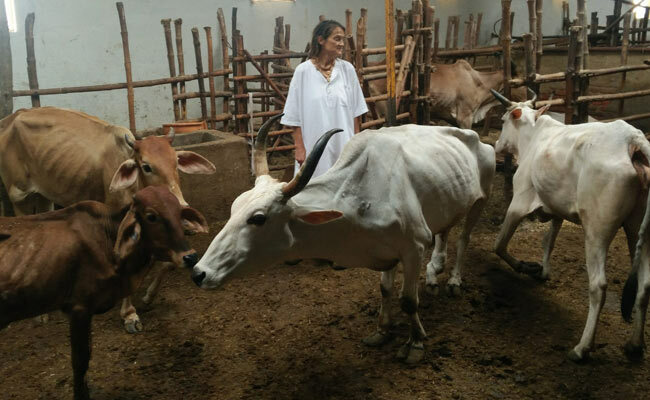 She also read Bhagawat Geeta and suddenly brought many changes in her life from that, she decided to open Gaushala. Now she is called as Sudevi Mataji, She had many problems, one of those was staying in India on the visa, and Sushma Swaraj and Smita Errani had solved her problems related to her travellings, and Visa. 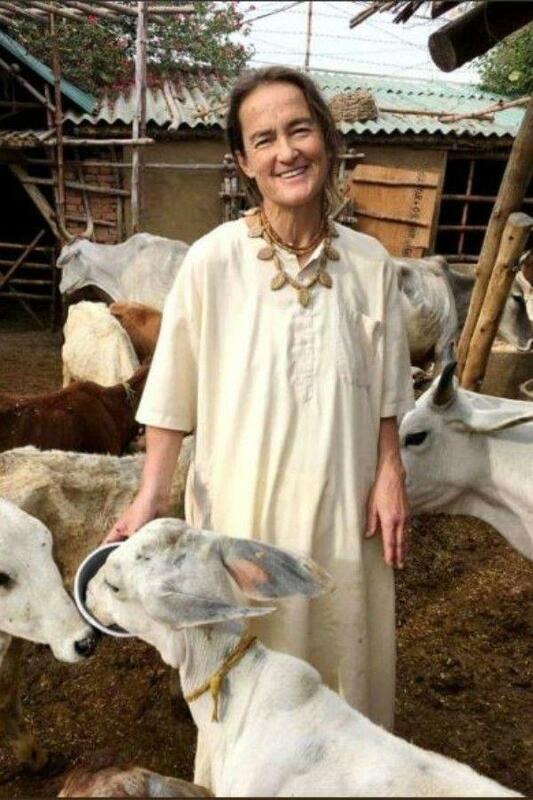 Her mission was only to serve the nation with pure of her feelings for cows. The life became so challenging for her when she started taking cares of those cows, for that she had to rent her own property in Berlin. 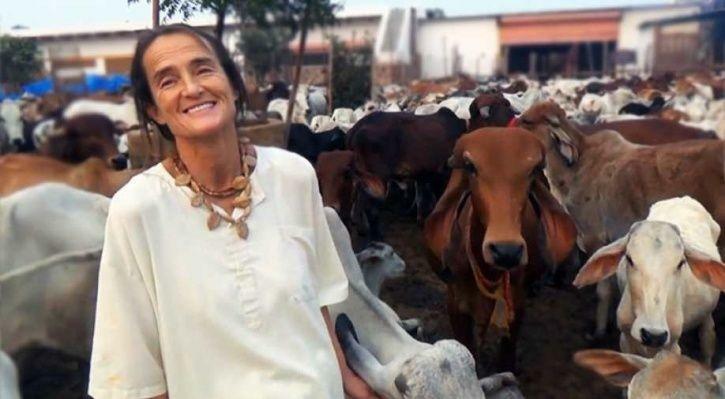 She had bought 3300 acres of land Became Animal activist without any purpose in life. Super non-vegetarian women turned pure vegetarian, this is just because of Indian culture. She was bounded and impress by divine Indian culture. The government of India has given her Padmashri Award in 2019 for her 35 years of service. Join our 13k subscribers, get an email from "Better Aspect" to your mailbox, you can unsubscribe at any time. It is very hard to spend hours writing and updating this site, and we have to spend a lot of money to exist online. We need your support by making a one-time payment or set a monthly donation. Dharmendra nowadays so interactive on social media, he posts his picture videos and cracks jokes. He mesmerises his childhood, his life before entering into Bollywood and shares his current life spending in his farm-house. The above picture was taken when Salman Khan's sudden visits to Dharmendra's house. Dharmendra was a superstar from black and white days. He also received a lifetime Filmfare award for his contribution to Hindi cinema. His first Indian movie was Dil Bhi Tera Hum Bhi Tere in 1960. His one of the most popular movies was Sholay. He played Veeru with Amitabh Bachchan as Jay in Sholay. This movie had entered into India's 25 must watch movies of all the time. At the time of accepting his Filmfare Lifetime Achievement award, he became emotional and remarked that he never received the award in the Best Actor category though having worked in so many box-office hits. Nearly a hundred popular films. Speaking on this Dilip Kumar said, "Whenever I get to meet with God Almighty, I will set before Him my only complaint - why did you not make me as handsome as Dharmendra?" Not in Indian cinema, but he also had found the place in a member of 14th Lok Sabha of India He was also awarded as India's third-highest civilian Padma Bhushan by the government of India. At the age of 83, he interacts with his fans on Instagram and posts how he spends his old life. He often clicks beauty of nature or sometimes shows us where he goes to walk and how his friends are in his farmhouse. He is such a down to earth man who now expects nothing from life in returns. He just wants to spend his remaining life with his beautiful thoughts. He sometimes recalls his life spent in childhood and tells us how he romantic was. He also cracks jokes and shares his other stories. From all his behaviours, he seems a kind human who loves nature and happiness in life. MY LOVING COWS AND BUFFALOES , HAVE ENOUGH OF GRAZING LAND, I AM STOCKING GOLDEN BHUSA FOR THEM FOR 2019. THANKS 🙏 ALL MY FRIENDS &ALL MEDIA, for your heartful good wishes on my birthday. I have started my NEW YEAR with your love and courage. LOVE YOU ALL, MY DEAR FOLLOWERS, YOUR SWEET COMMENTS KEEP ME GOING. ON MY TRAVELS NOW, BUT SENDING YOU ANOTHER FARM-VIDEO WITH MY WARMEST WISHES!!! When a man crosses a certain age and left nothing to worry, this is how one should spend a life. From his messages he inspires young people to go for farming, he loves organic food. Being a superstar, his attitude remains the same as a common man. Our steps are so original and unique, even we couldn’t repeat it !!! LOVE YOU ALL, for loving the songs and our promotion, for your YPD PHIR SE!!! Zmaana misaal de ga, Iss filmi dosti ki !! !